Hello everyone, and welcome back to my blog. I hope you all enjoy this post, please do not forget to follow my blog and lets keep this blog growing together. And don’t forget to follow my Twitter, Facebook and Instagram account, where you can keep updated with what I am doing and any new products I have bought recently. Now lets get onto what you have all come here to read. I gave you all a sneak peak into this palette a little while ago. Today I wanted to give you MY review of this product. Lets get started. I have been behind buying this but Kat Von D makeup has only become available in the UK recently. For those of you in the UK you can buy her makeup from Debenhams. Normally retails at £36 but I bought mine on sale for £32. This ‘Shade and Light’ face contour collection is a game changer for makeup mavericks everywhere. Inspired by an artist’s palette, Kat has created six matte shades that look truly stunning on everyone. The contour and highlight pairs are arranged by undertone, so you get neutral, warm and cool shades. Use the deeper contour shades to add natural shadow and depth to your face, then accentuate your best angles with the brighter highlight shades. First of all the packaging. I was in love with Kat’s own take on her packing. The main box it was contained in was adorable, when I opened the end inside there were stars just like her tattoo she has on the side of her face. Inside included a card which I have featured above, the card was double sided, explaining the palette on one side while the other side showed places that the powders can be applied to, I think this is fantastic for those of you who don’t watch YouTube videos or any other tutorials, and just need a little insight. The main palette itself is quite weighty and sleek. I like how simple and elegant the front looks, yet it’s bold. On the inside the sleek design carries on, and the design around the mirror is simple but elegant. The mirror is very large and is very weighty. You will need to lean the palette against something if you want it to stand up, just due to the mirror being quite heavy. Lets get onto the inside of the palette and the shades. As I have said before this palette is suitable for all skin tones, and is perfect to travel with if your skin tone changes like mine throughout the year because of the weather. Contour shade: Sombre, Shadowplay and Subconscious. My favourite light shade is Lucid and my favourite Shade for contouring is Shadowplay. The shades are gorgeous, super blendable. I tend to always apply way to much contour to the hollow of my cheeks, and struggle to make it look wearable. With these shades I found they are highly pigmented, so when I applied them the first time I made the same mistake as usual, however I thought I might as well try blending and see if I can make it work, and it was easy. 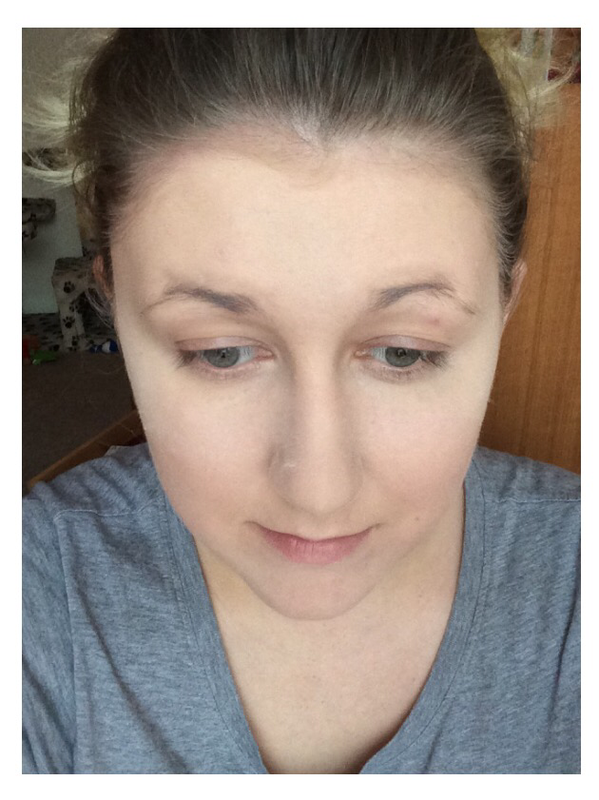 The contour didn’t need much work and it blended seamlessly creating a lovely natural shadow. I was impressed from the first try. I decided to use this palette all week at work to see if anyone would notice, and I was blown away with the amount of reactions I received. A lot of my colleagues noticed something was different and said I looked slimmer in the face. Others who know I wear makeup were asking me what I was using to contour. I am definitely recommending this palette to everyone who wants to start out. I want to buy more from this brand, comment below what you like most by Kat VonD Beauty. I have been away for a week in Gran canaria which will explain the no posts. Before I went away I was very limited to what liquids I could take in my hand luggage, therefor I had to leave a lot of my makeup behind. 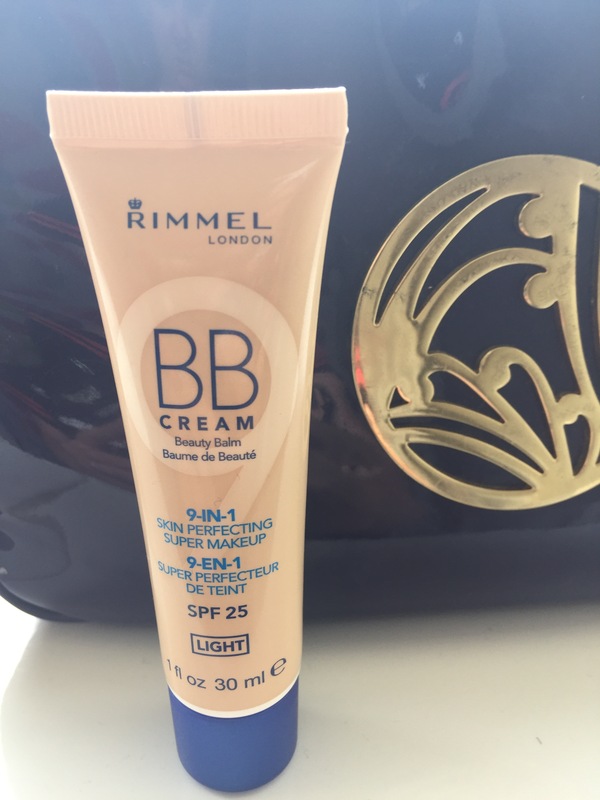 Once I got through customs I went to super drug and bought this BB cream. My reason was it has SPF 25, was a cream and will cover my skin lightly which is all I wanted. I was extremely disappointed with this product however. The colour tone was just right for my complexion. 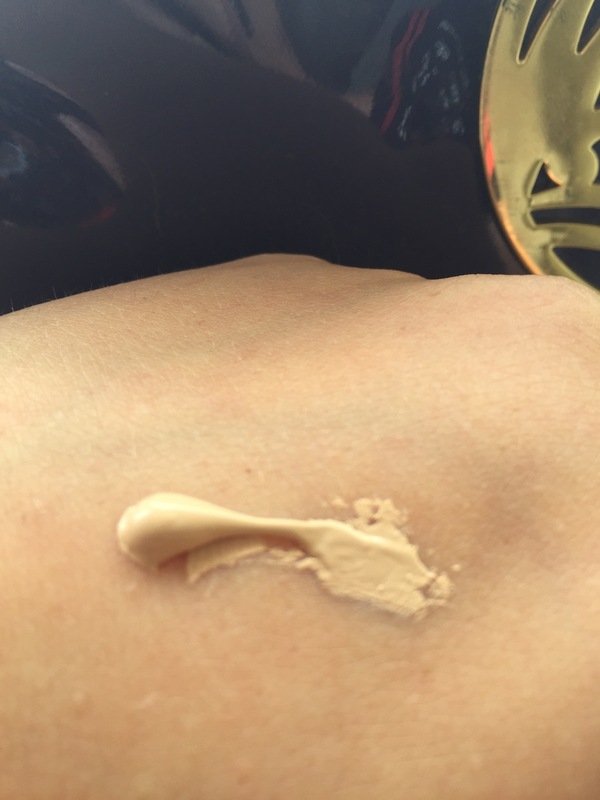 But, the application of this cream was horrible, I used my fingers to apply it and it came out blotchy, I used a beauty blender and it still appeared smeary. I just couldn’t apply it right to my skin. The consistency is quite thick for something that I would think would have more of a creamy consistency based on the name. 1.primes. 2. Moisturises 3.minimise pores 4. Conceals 5. Covers 6. Smoothes 7. Mattifies 8. Brightens 9. Protects. I did feel it moisturised, concealed, mattified, and covered my skin well. And it did protect me from the sun really well. It did cover redness and a few spots. When I got sunburnt from being in the sea, it did cover the redness really well. However like I mentioned before it did not blend evenly, and lines showed easily, which was really frustrating so I gave up trying to make it work. I don’t think I will use this again, maybe as a small spot on concealer on days I don’t want to wear makeup but that’s it. Hello, and welcome back to my blog. 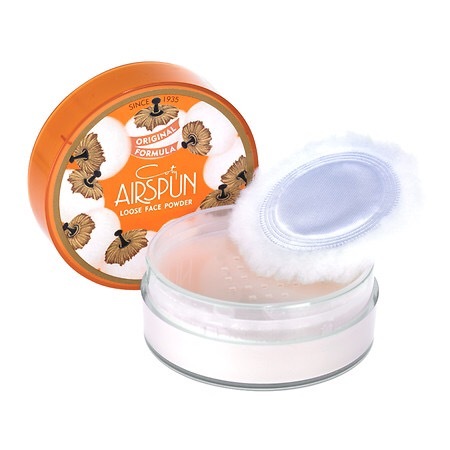 Today’s post is beauty related and is a product review about: Airspun. 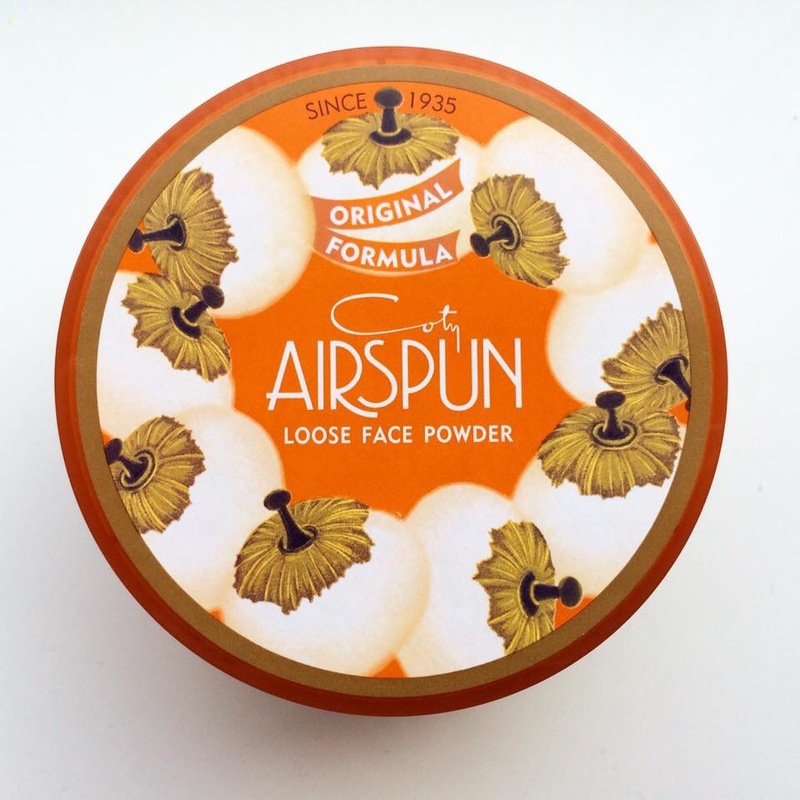 I had never heard of this product until I started watching Patrick Starr on YouTube and he raves about this powder. When I had a look on Amazon, it was only £7.41. For all my fellow England followers, you can only buy this on Amazon or EBay there isn’t any shops here that sell this. The applicator is extremely soft and great for applying the translucent powder to the skin. I pour a good amount into the lid and then apply it all over my fave, I used to use it under my eyes but now I am addicted and have to apply it everywhere. The picture below shows how translucent the powder is, which is great because I find some powders still make my foundation look whiter when it states TRANSLUSCENT. I love how soft the powder is, and it has any amazing smell as well, I can’t quite explain but it smells like summer to me with a small floral scent. It works wonders on my skin, it never leaves patchy areas and it never clumps. It is super fine and super affordable. I really recommend this to people who are starting out with makeup and don’t want to spend a fortune. I have had it a couple weeks now and basically use it every day and it works wonders, it lasts up to 10 hours I would say and that’s working under hard conditions…. Some of you may know I’m a nurse and my job can get quite hot especially as the heating is on in the hospital still, and this powder keeps my foundation in place for a long time and hasn’t let me down. My skin can become very sensitive and break out with new products but with this powder my skin actually settled and felt softer. However I wouldn’t use the powder on its own like it said above as I found it just stuck to the dry areas of my skin and made me look very pale. If you have tried this before please comment below for other readers to decide if this is for them. Don’t forget to subscribe to my blog, and I hope you enjoyed. Rimmel London scandal eyes review. Hello everybody, sorry I have been away for a while, my work has been absolutely hectic….. Anyway thought I would do a small review on a mascara which I have been wearing everyday lately and that is the Rimmel London, ScandalEyes flex. I usually find with mascaras that they never seem to have has much volume as stated on the packet and in the ads. However this mascara REALLY works! These are not my eyes however they give my eyelashes exactly the same result as this. As you can see this ladies lashes are voluminous, and her lashes definitely look fuller, and like I said this is exactly the same result that I had. The two issues I would say I had with this mascara is that it does clump up a lot and you have to comb through the lashes after application, you can see a small amount of clumping in the picture. And the other issue I found was that the mascara wand was too big for my lower lashes which made it difficult for application, however these are the only two downsides which can be dealt with easily. What I did to prevent clumping was too wipe the wand across the top of the pot to wipe off any excess, this gives you less product however the lashes will have a better effect, and this way you can just layer the product onto your lashes for a voluminous effect. The solution too the bottom lashes for me was to use another mascara, however my mascara was from Maybelline, for precision I used the mascara called CatEyes which really worked as the wand on that mascara is curved and works perfectly for those lower lashes as shown below. Hope you enjoyed please follow me , and I hope to post some more beauty products reviews for you soon.